The “Your Pelvic Matters” program is so significant that I actually turned it into a qualification for other pre/postnatal fitness instructors, just like me! 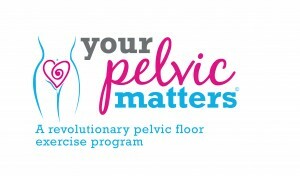 HOW IS “YOUR PELVIC MATTERS” DIFFERENT? My approach to pelvic floor-focused exercise is very different to most professionals. I look at the ALL of the muscles that affect pelvic function from the foot, all the way up to the neck (and everything in between!). Think of it as a full-body approach. There’s not a ‘squeeze and release’, traditional pelvic floor exercise in sight! You’ll address what’s tight, what’s weak, what needs strengthening and what needs a jolly good relax out, to get the pelvis itself better aligned, so ALL of the muscles attached above and below it, are a lot happier as you go about your life. As modern-day humans who sit more, and move a lot less than our ancestors. This equals a lot of congestion going on in the pelvic area, and it’s only going to get worse if you do nothing to change how you go about your day. 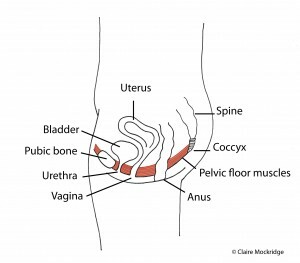 A lot of the clients I’ve seen privately for period/pelvic pain, infertility, birth prep, prolapse and pelvic floor weakness actually have a very tight pelvic floor. From an anatomical perspective, it’s actually very difficult to get strength into a muscle, without lengthening it first. Physiotherapists use this same analogy when you go to see them with say, shoulder pain for example. They will stretch out the affected area first, before giving you exercises to strengthen the opposite body part. Traditional pelvic floor exercises known as Kegels aren’t for everyone, and if you’ve been doing these so-called “strength” exercises over and over and over, with NO change in your symptoms, this is where a full-body approach will help, because you’ll be releasing your pelvic floor muscles out rather than focusing on strength all the time. WANT TO KNOW WHAT EXERCISES ARE INCLUDED? As you can see from the video, the exercises in the Your Pelvic Matters program look so much more fun than Kegels, huh?! If you get constant back/pelvic/knee/foot back pain – Your Pelvic Matters can give you life-long coping strategies to get you loading your system better. As with anything specialised, numbers are capped to 10 people per class. So don’t dilly-dally here, click “Add to Cart” now to secure your spot. I’ll then confirm your space via email. And, then I will be in touch to send you an online health screening form, and ask how I can tailor the class to your specific needs. Remember: only you know your condition, issues, symptoms etc. Only you know where your tight and tender spots are, and only you know where your weaknesses are, so expect a few emails back and forth, to ensure I gather enough of an exercise/symptom history from you to make your attendance more than worthwhile at these specialist classes. WHY IS THE COURSE 12 WEEKS LONG? Your Pelvic Matters is NOT a quick-fix, it’s a full-b0dy solution that requires time to sink in. In some cases, what you learn requires changes in your lifestyle, and if you’ve ever tried to change a bad habit, you’ll know it’s something that happens over night, huh? The same rule applies here. Clients who come to me individually for Personal Training, see a reduction in their pelvic floor symptoms within as little as 2-3 months, so you’ll get exactly the same advice, exercise content, and education, over a similar time frame. HOW QUICKLY COULD I SEE A DECREASE IN MY SYMPTOMS? How cool is THAT information, huh? This is just ONE teeny snippet of education that you’ll learn in the Your Pelvic Matters classes. Stronger glutes = stronger pelvic floor! WANT TO KNOW EVEN MORE ABOUT THE FULL-BODY APPROACH…? Watch this video/podcast, where Personal Trainer, Frank Sinclair, interviewed Claire Mockridge and had her explain even MORE about the full-body approach to pelvic floor function. 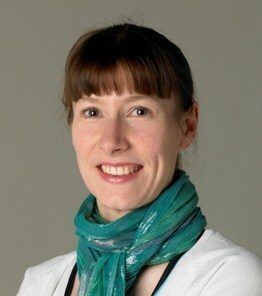 Claire was asked: “If you could give women your 3 top tips for fixing pelvic floor dysfunction, what would they be?”. You might be surprised with her answers, so pop the kettle on, tune in and enjoy! CLICK ‘ADD TO CART’ TO SECURE YOUR SPACE ON THE YOUR PELVIC MATTERS PROGRAM! And, I’ll see you on the other side.